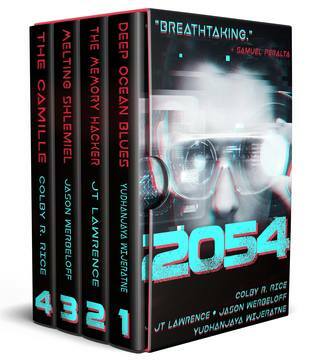 This is the second novella in the futuristic visionary collection “2054” from a diverse quartet of authors. It’s the year 2054 and Talia lives a quiet, mundane life. Required to go for a standard medical checkup, she does so. Everything is fine until the AI examining her indicates that she has had children. The problem is, she has no recollection of ever having had a baby. Vacillating between believing the AI is malfunctioning and wanting to uncover the truth, Talia must follow the trail of breadcrumbs. But where will it lead her? No, I don’t give spoilers, but I will say that I loved this vision of a future South Africa. Already a dab-hand at creating a grungy dystopic hi-tec future vision for the region, Lawrence adds a new twist to her repertoire with this story. And it’s good. There were surprises around many corners in this story, and a whole load of heart. A lot of fun was had here. I just spent two hours of my day reading this, and I can tell you, every moment was well worth it. What starts out as a simple investigation for resourceful journalist Keke takes twists and turns she doesn’t foresee until she’s in way over her head. In a world where infertility is rife, those who are fertile are well-protected (or are they?) – and used as surrogates. 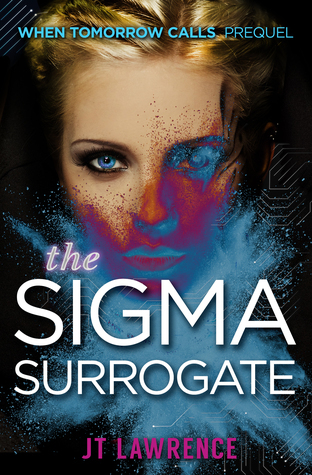 Of course, surrogacy has its opponents, cue the Sigma surrogate. Also seen in this book is Kirsten, heroine of Why You Were Taken. Full of action, suspense and with a few more twists than I could keep track of, this is a thoroughly enjoyable read. 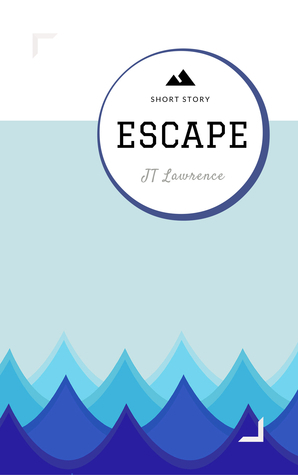 Lawrence paints a vivid picture with her words, drawing the reader easily into Keke and Kirsten’s world. An amusing, dark-edged story about a suicidal baby who knows he was born into the wrong life, and has to get creative to take measures correct the mistake, much to his mother’s horror. As one can expect from Lawrence, you aren’t going to get an ordinary story. And this short is no exception! I have absolutely no idea how to categorise this story on my bookshelves. It’s rather confusing. Could one call a story written in first person from the perspective of a suicidal toddler noir? I’m not so sure. But I have nowhere else to put it. 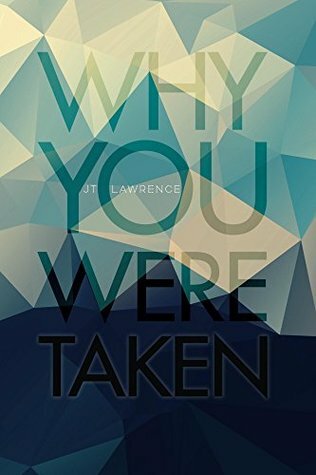 Clever and imaginative, Lawrence raises enough questions in the first few paragraphs to keep one reading. As one reads, one figures out exactly what is going on – but the ending comes as a complete surprise. Just as a short story should be written. Johannesburg 2021: Kirsten is a roaming, restless synaesthete: a photographer with bad habits and a fertility problem. A strange, muttering woman with dog hair on her jersey approaches Kirsten with a warning, and is found dead shortly afterwards. The warning leads her to the Doomsday Vault and a hit list of seven people – and Kirsten’s barcode is on it. How to review this book has given me much pause for thought. I’ll be honest up front: there were things I liked very much about it, but there were equally some things that hampered my enjoyment of the story. What I liked: This is a BIG story. And I mean it. Fascinating ideas, an intriguing premise, and some very relevant topics are discussed. Topics that are relevant to both the world as a whole and to South Africans (where this book is based) in particular. Racism, world (over-)population, scarcity of resources, amongst others. Survivors of abuse might need to brace themselves a bit, though, especially towards the end of the book. This book doesn’t deal with ordinary people. One of the things one has to get a handle on is the fact that Kirsten is a synaesthete. This means that she sees flavours, numbers and other sensory items as colours. The frequent (not THAT frequent) references to (apparently) random colour names, both recognisable and exotic, can throw one out of the flow of this book. Once I realised what a synaesthete actually was, then the references made sense and became part of the sensory input for the book. I did struggle to get into the book. This is partly due to the book being set on Earth. I seem to have issues getting into high-tech futuristic books: I found I had the same issue with Neuromancer. One has to get a handle on the new terminology and technologies that are in use. As these are relatively frequently referred to, one soon catches on, but it does take a bit of time to figure out – one’s constantly trying to find similarities to known tech. That said, the society is coherent and well thought-out, so while we as readers need to get used to it all as novices, there aren’t many questions in the characters’ minds as to what they’re referring to and doing. What I struggled with: The ending fell a bit flat for me. I’m not entirely sure why, but the middle section of the book drew me in the most. I began to care for the two primary characters (Kirsten and Seth) and root for them to survive. But around the time Kirsten and Seth were brought in, I got thrown out of the story again and never really got back in. It became too easy to skim paragraphs and just keep a handle on the sense of what was happening. Probably my biggest issue was with the mish-mash use of tenses throughout the story. I honestly didn’t know if I was reading past, present or future. This certainly gave a sense of disorientation – which may or may not have been deliberate on the part of the author, given that Kirsten isn’t exactly a “whole” person for the majority of the text. Conclusion: Overall, while I am aware I’ve brought up quite a few issues I had while reading the book, I honestly thoroughly enjoyed the story itself and the situations the characters found themselves in. The ending was bittersweet for me, and in some ways I wish some things had ended differently. But I guess one cannot have everything the way one wants it, right? That’s life, after all. This is a larger-than-life book that could go far in the scifi world, but I do think a thorough edit to remove the niggles would be required to make it stand out as the diamond it should be. It is because of my being thrown out at the end of the story that it gets four stars from me.